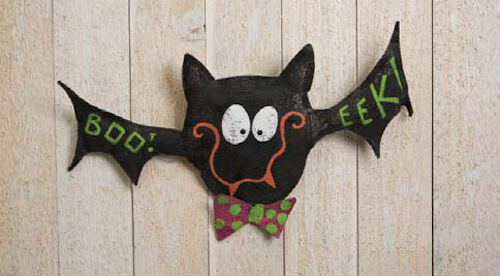 A Funky Bat Halloween door decoration is a great way to great your guests. This crooked smiling bat Halloween decoration has BOO! written on one wing and EEK! on the other. Be the first to review “Funky Bat Halloween Door Decoration” Click here to cancel reply.